It has been a long time since I added any new additional clothing items to my wardrobe and to be honest I am beginning to notice this with the recent warm weather! I love some of this years Spring fashion trends. 2015 seems to be bringing with it the best of vintage, a clash from different past trends. In spring and summer it is all about comfort, evenings spent out in the sun and being able to walk in the park without all my layers on. This spring I am looking more for the wardrobe staple pieces, simple items that I can wear on repeat, dress up or dress down and mix and match for different looks. 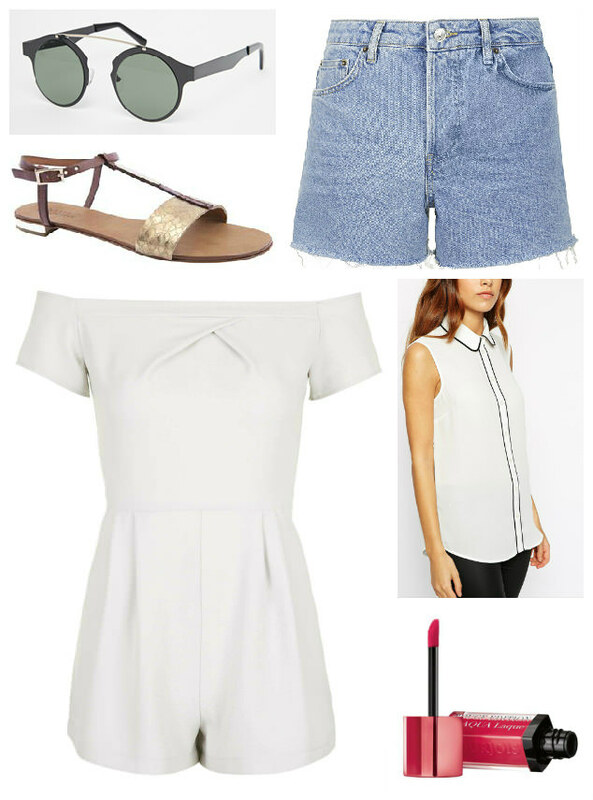 The items in my list today are from ASOS, Topshop and Boots a few of the websites I have been scrolling through, looking for items I’d like for this Spring and Summer. These items are all quite classic pieces that will be great for the hotter months and moving into Summer. I love the rounded ASOS Spitfire Intergalactic Sunglasses. I never thought I would be a fan of round sunglasses but these are so unique and unusual and look far more expensive than they actually are. I also want to pick up a few of the Bourjois Rouge Edition Aqua Laque liquid lipstick as I have heard great things about them being less drying on the lips than last years matte velvet range and being long lasting despite the drug store price tag. What Spring Fashion items are on your wish list this 2015?